On Sale Now! 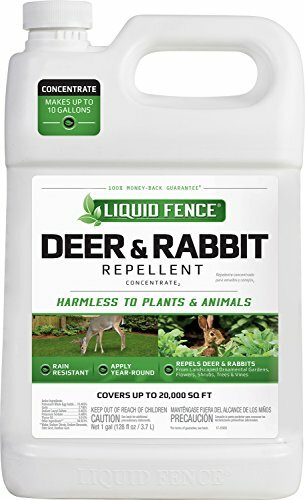 Save 4% on the Liquid Fence HG-70111 Deer & Rabbit Concentrate Repellent, 1 gallon by Liquid Fence at Heirloom Gardens. MPN: 70111. Hurry! Limited time offer. Offer valid only while supplies last. Works on scent so animals don't have to take a bite to be repelled. Will stop the foraging cycle before it begins. Long lasting & rain resistant. Works on scent so animals don't have to take a bite to be repelled. Will stop the foraging cycle before it begins. Long lasting & rain resistant. Won't harm animals or plants. Made in the USA. If you have any questions about this product by Liquid Fence, contact us by completing and submitting the form below. If you are looking for a specif part number, please include it with your message.